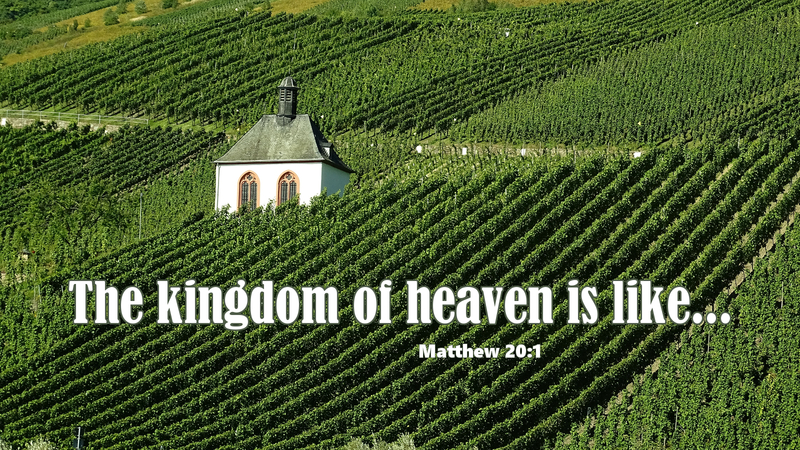 “The kingdom of heaven is like…” Jesus grabs our attention by speaking these words in the gospel. The illustration that follows offers comfort or confusion—or both. Jesus uses the common theme of money to describe the kingdom of heaven. However, this time the rich man is not the antitheses. Instead the rich man is the centerpiece, reflecting God’s generosity to the workers. Equal compensation is provided for those who respond first and for those who come at the end of the day. Although this is the desire of the vineyard owner, the workers cannot grasp his generosity. In fact, they see it as unfair. This parable is not about fair employment practices. It is about the repeated invitation to the kingdom of heaven that Christ extends to his people, the work of discipleship in his earthly kingdom, and his generous grace applied to all. A four-year old girl once said that she wanted to play hide-and-seek with God in heaven. When asked why, she said, “Because God always finds me.” God invites and finds us with gifts beyond what this earthly kingdom can provide. Prayer: Father God, open our ears to your invitation to work in your vineyard. Amen.